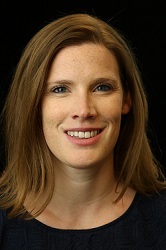 Emily Roberts leads global partner marketing for Amazon Alexa, including programs that engage developers and brands to build voice-first experiences. In this capacity, she leads design, product marketing, and go-to-market initiatives that enhance customer interactions with Amazon’s products and services. In six years at Amazon, Emily has held a number of roles in marketing and program management across Alexa, Amazon Devices and Amazon Pay. Prior to Amazon, she worked in a number of industries including law, non-profit and healthcare. Emily is a graduate of Santa Clara University. When she’s not hard at work at Amazon, she’s likely enjoying all Seattle has to offer outside: on the slopes, on the water or in the woods.